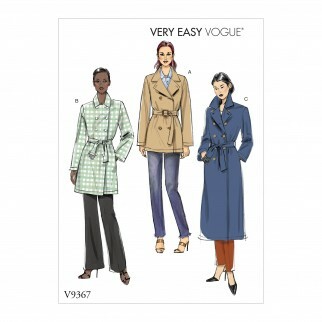 Very loose fitting unlined jacket has double breasted button front closure, dropped shoulder with shoulder pads, back neck darts, notched collar, self carriers, belt with purchased slide buckle, and length variations. B, C have side seam pockets. 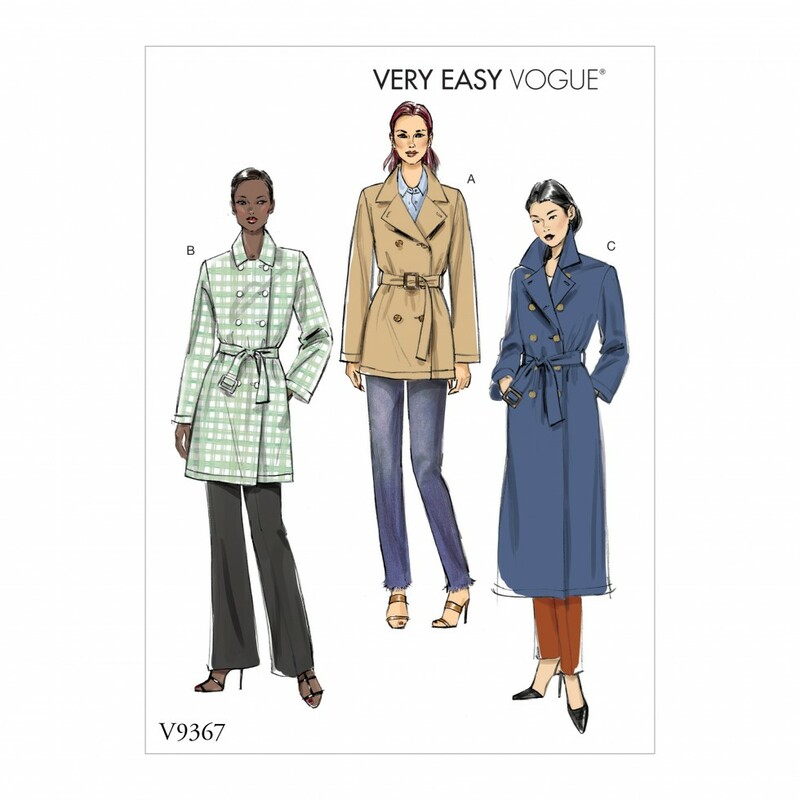 Fabric suggestions include: Gabardine, Poplin, Raincoat Fabrics.